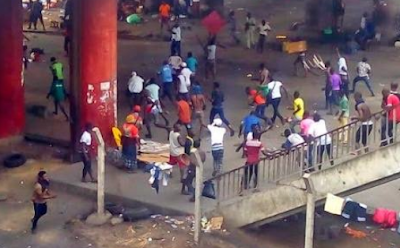 Ahead of Saturday’s elections, some residents of Baderin Street in Oshodi, Lagos Mainland, have expressed worry over protracted clashes between two groups of hoodlums suspected to be members of the National Union of Road Transport Workers (NURTW). They said they would relocate their families from the neighbourhood for fear of attack. 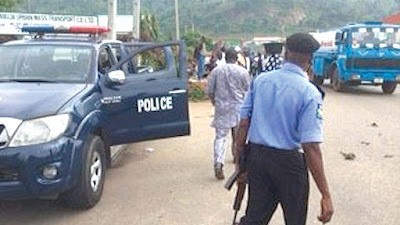 The Nation learnt that crisis broke out in the area on Sunday night after a House of Representatives candidate gave the hoodlums ‘appeasement’ money. It was gathered that a faction was alleged to have removed part of the money, which led to a fight. Three persons were reportedly injured, while shops, campaign billboards and posters were damaged. A source said the politician sent the money to the hoodlums. A resident, who identified himself as Femi, said the clash continued on Monday morning, forcing shop owners to flee for safety. He said: “We have not enjoyed peace since Sunday night. People are already moving their families out of this area for fear of another attack. The fight occurred between NURTW hoodlums loyal to two parties. A politician gave them money and they disagreed on the sharing formula. “They pelted one another with stones and bottles. A man was stabbed. Many people sustained injuries while running away from the scene. The clash happened around 6pm. It continued on Monday morning. People closed their shops and ran away because the hoodlums carried weapons. “The Nigerian Air Force (NAF) personnel later came to restore peace. After leaving, the hoodlums returned in the evening and started fighting again. “On Tuesday afternoon, they continued the fight. The police and soldiers thereafter intervened by quelling the fight. People are afraid because this is election period. These hoodlums may return again. Another resident, Emeka, appealed to Police Commissioner Zubairu Muazu to ensure that more policemen are deployed in the area. Police spokesman Chike Oti, a Chief Superintendent (CSP), confirmed the incident, saying only one person was stabbed. Oti said 20 persons were arrested, adding that peace had been restored.